Most Americans recognize a few of the Founding Fathers—Washington, Jefferson, Madison, Hamilton, Adams, Franklin—but what about some of the important but forgotten men who have been lost to time? They have great stories that need to be told. Here are ten whose fantastic lives are in many ways better than fiction. Get this fun-to-read 26 page e-book and the audio book version as an immediate download and receive even more great content every month. Yoram Hazony argues in a piece for First Things that the solution to our political problems is the adoption of what he calls “conservative democracy.” This is a thought provoking piece, but one that falls apart in its core insistence on “nationalism.” We don’t need “conservative democracy.” We need a return to federalism. I discuss in detail in this episode of The Brion McClanahan Show. 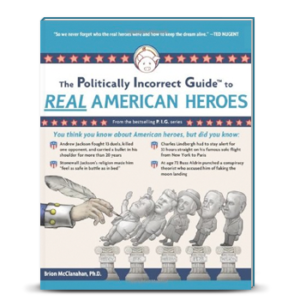 Brion McClanahan is an author, historian, professor and speaker with a focus on the Founding Fathers and the founding principles of the United States.